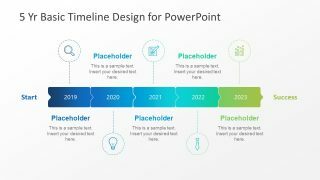 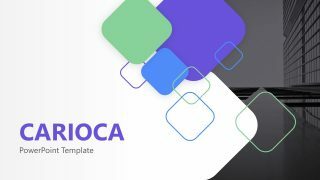 Quarterly Timeline Template for PowerPoint is a presentation template with creative quarterly timeline design for presentations. 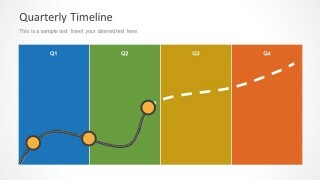 You can open this presentation timeline in Microsoft PowerPoint and edit the template with your own milestones. 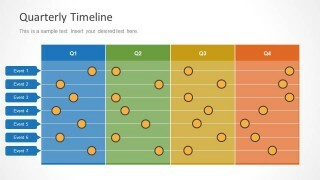 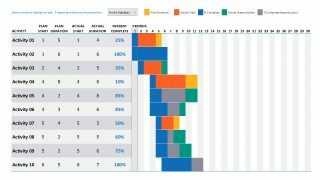 The timeline is organized by quarters so you can easily identify each quarter by colors. 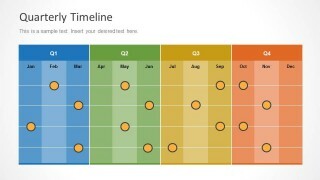 Inside each quarter you can find the labels for months. 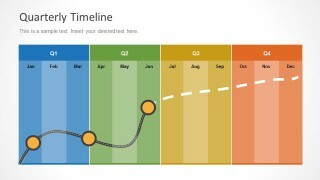 For example, the Q1 has Jan, Feb and Mar months inside. 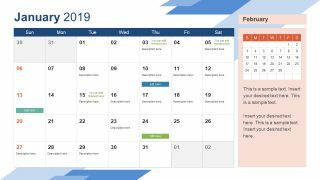 This quarterly schedule PowerPoint template design can be of help if you need to prepare a business presentation or financial plan using Microsoft Office tools. 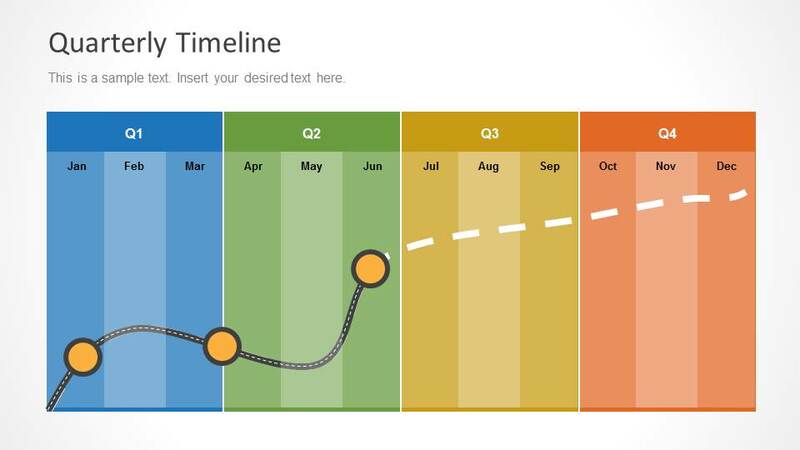 You can edit the quarterly timeline design to fit your own presentation needs by filling the editable text boxes and placeholders. 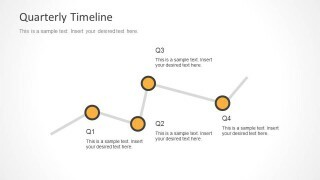 Alternatively you can download other nice time management charts for PowerPoint or other Microsoft PowerPoint timeline templates by quarter.